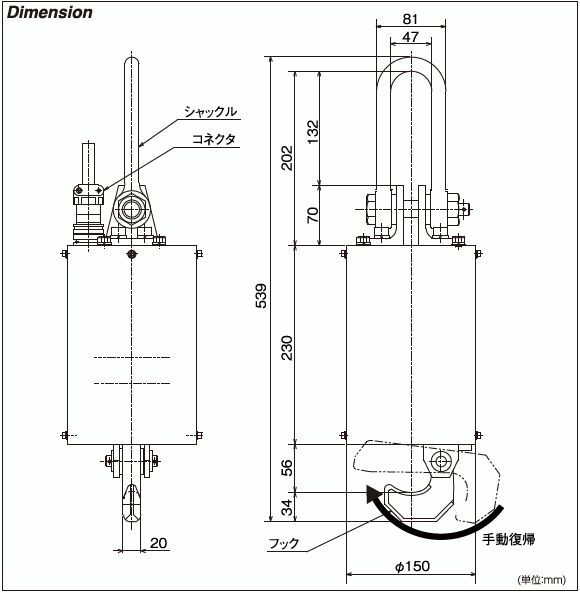 This model is a drop tester for heavy weight products and packaging. 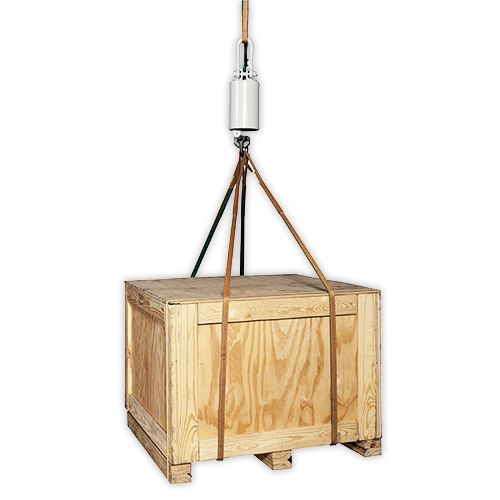 Massive cargo in packaged freight, unit load, palletized cargo, can conduct the drop test safely with the EMH. 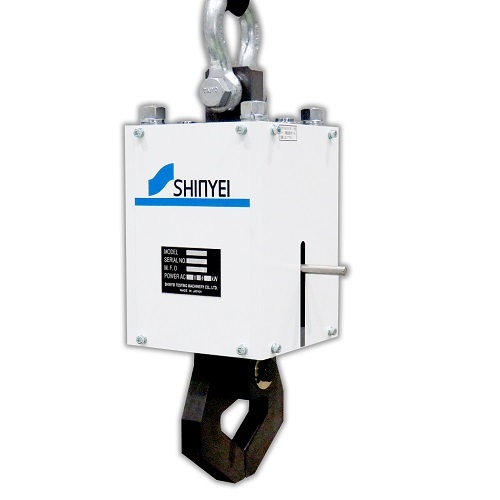 This well-designed electromagnetic hook can re-lease the cargo for a steady drop test. Note: the cage for hanging the EMH should be prepared by customer. 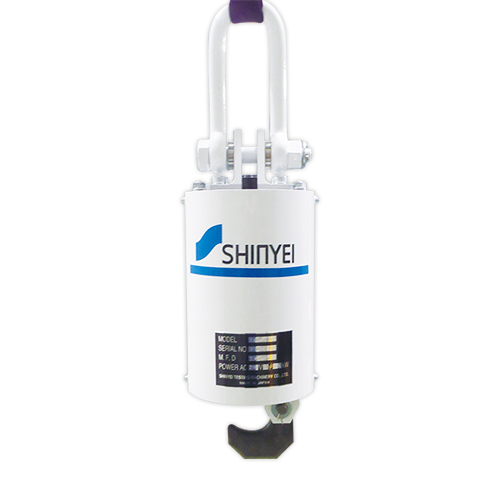 Massive cargo in packaged freight, unit load, palletized cargo, and manufactured product can be submitted to drop test with safety. 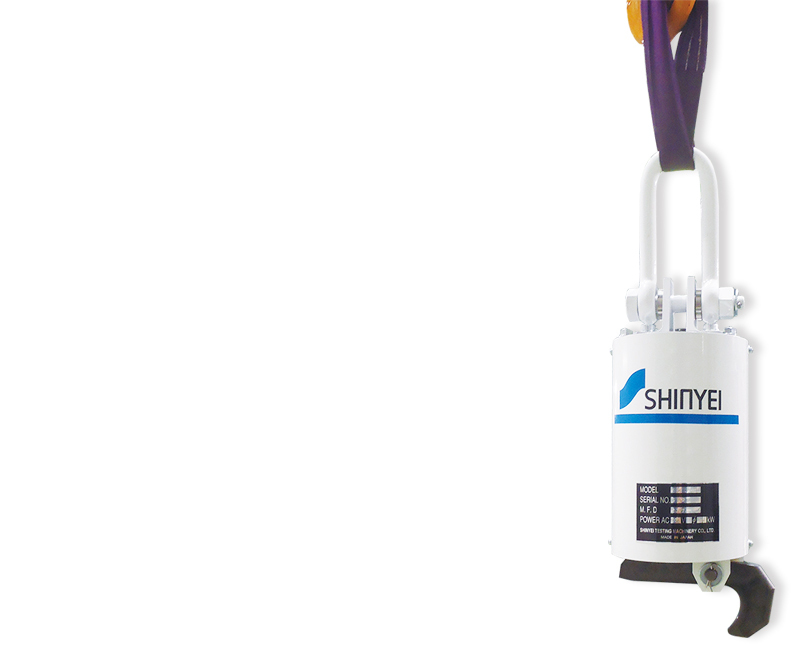 Shock pulse when dropped can be captured and quantified easily by combining EMH-500 with SM-500 (Optional device). 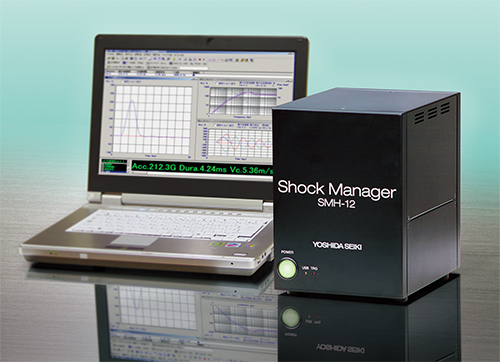 Captured data is shown on your PC screen immediately when shock pulse generated.